@WSOP Circuit @Thunder_Valley Event 1's Day 1E sets a new record for a single-flight as registration closes with 628 total entries. This brings the total field for the $300,000 Guaranteed $365 to 1,511 total entries. The prize pool tops $450,000 as cards go back in the air for the start of Level 9. The official numbers and the full PayTable is going to post soon. Play continues tonight until 7:15pm - the end of Level 15. 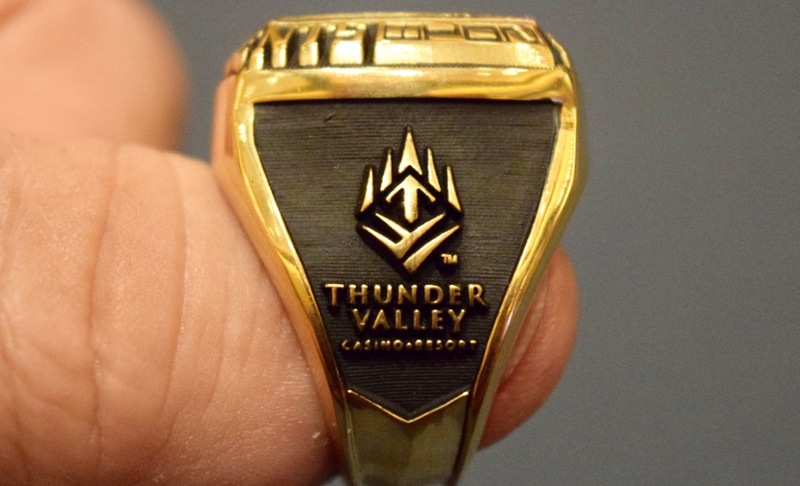 Every player who still has chips at the end of Level 15 joins the 128 players who have already advanced to Sunday's 11am start for Day 2, playing down to the first WSOP Circuit Thunder Valley ring of 2018.